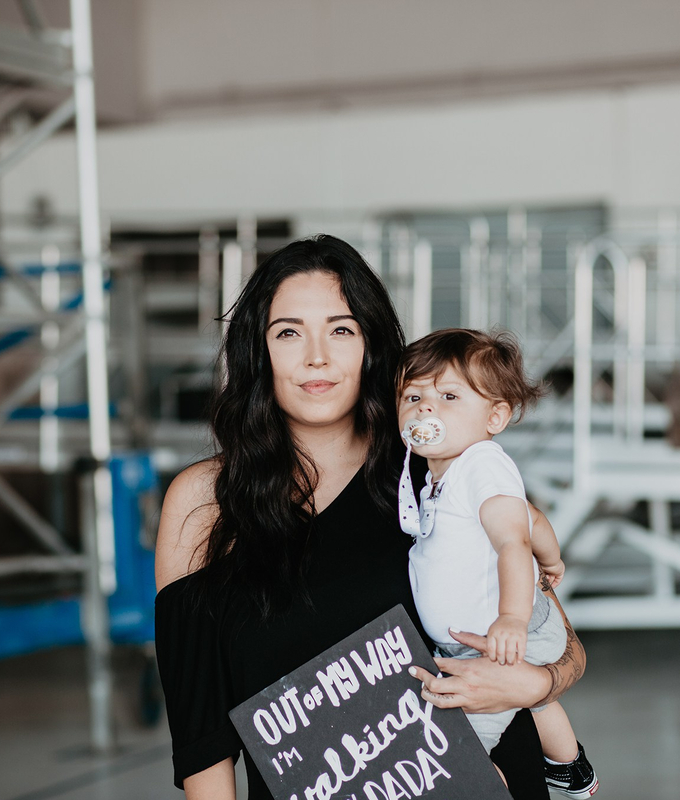 My first real mother’s day is coming up… It won’t be the first celebrated – my dogs (AKA my husband) have gotten me cards for years and last year I was pregnant… but this is my first real mother’s day of having my heart live outside of my body. What do I actually want? I know the answer is supposed to be “nothing” or “I have everything I’ve ever wanted” but those would be lies. What I really want for mother’s day is time. We want time to soak in every milky smile, every uncontrollable laugh, every open mouthed beso, and every time we see the light bulbs go off in in their eyes when they grasps the meaning of something for the first time. We want time to save them from every fall, to calm down when they are frustrated, to figure out if they need Motrin or gripe water or something in the cabinet to ease their pain. Sometimes we want time to wash the spit up out of our hair. Sometimes we want time to just laugh at ourselves for going the whole day without noticing it was there. We want time to sob over how much our babies change daily. We want time to pray over them as they grow from babies to kids, kids to teens, teens to world changing adults. We want time to figure out how to explain the birds and the bees – then some years later explain to them how to change our first grandchild’s diaper. We don’t want time to stop or rewind – but to be able to see these moments happening and be aware that this is what life is about. Joy is found in the seconds and minutes and hours. Joy is not limited to just our vacations and weekends. All we want is more time to soak in this joy called motherhood. Every mother, like every child, is unique in her own heavenly way. If it is being a mother through pregnancy, fostering, adopting, or simply loving others as if they were her own – she deserves a timeless gift that is just as unique. This year I am honored to wear my first wooden watch from JORD. If you’ve been subscribed to this blog for any amount of time, you’d know that I am passionate about my vegan lifestyle. I love animals, I love our planet, I love my body that God has given me. Not only does being vegan mean I don’t want to eat animals, it also means I don’t want wear them. Most luxury watches are made with leather, so for someone to gift me something vegan shows me that they are beyond thoughtful. These wooden watches are a true piece of art, and a reminder of the unique mothering role God has given me. Every day I can rest in knowing that joy is welcomed in these messy seconds. I am blessed and excited to pass on a $100 gift code for a cruelty-free, sustainable, durable and timeless watch from JORD. One lucky person will win, but everyone will receive a small gift once the contest is over. To enter, fill the form at this link*. *The contest will close 05/13/2018 at 11:59pm CST. *Both the $100 and gifts will expire on 06/10/2108.